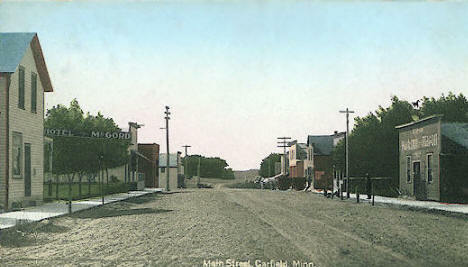 Do you have photos, historical accounts or other items pertaining to the Garfield area? Would you like to share this historical information with the world? LakesnWoods.com would like to publish your Garfield photos (current or historical) or historical accounts on this website. Original materials can be returned and your privacy will be respected. 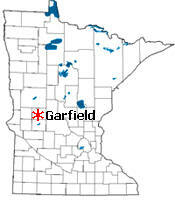 Garfield is a city in Douglas County, Minnesota. County Roads 12, 22, 40 and 82 are major routes in the community. According to the United States Census Bureau, the city has a total area of 0.78 square miles (2.02 km2), of which 0.77 square miles (1.99 km2) is land and 0.01 square miles (0.03 km2) is water. The elevation is 1,421 ft (433 m) above sea level. As of the census of 2010, there were 354 people, 142 households, and 94 families residing in the city. The population density was 459.7 inhabitants per square mile (177.5/km2). There were 158 housing units at an average density of 205.2 per square mile (79.2/km2). The racial makeup of the city was 96.3% White, 0.3% African American, 0.3% from other races, and 3.1% from two or more races. Hispanic or Latino of any race were 0.8% of the population. There were 142 households of which 38.0% had children under the age of 18 living with them, 43.7% were married couples living together, 12.7% had a female householder with no husband present, 9.9% had a male householder with no wife present, and 33.8% were non-families. 25.4% of all households were made up of individuals and 9.1% had someone living alone who was 65 years of age or older. The average household size was 2.49 and the average family size was 2.95. The median age in the city was 33.3 years. 28.2% of residents were under the age of 18; 7.3% were between the ages of 18 and 24; 29.6% were from 25 to 44; 25.4% were from 45 to 64; and 9.3% were 65 years of age or older. The gender makeup of the city was 48.6% male and 51.4% female. GARFIELD, a city of Ida Township, section 32, platted February 17, 1882, incorporated August 28, 1905, was named in honor of President James A. Garfield, who was shot July 2, 1881, by the assassin Charles J. Guiteau, and died at Elberon, N.J., our second martyred president, September 19, a few months before this village was founded. The post office began in 1880; it had a station of the Great Northern Railway. It contains several shelters with picnic tables and an abundant amount of space for a family gathering or a place to relax. A new feature added to the park during the summer months is a unisex portapot. 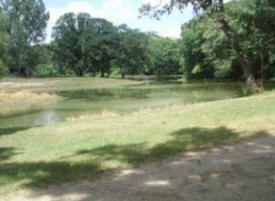 Oak Park Campground is 43 acres of beautiful park-like rolling hills with three ponds and mature trees. We have 59 RV sites to offer. Facilities/Activities include swimming pool, playground equipment, softball field, horseshoe pit, and a pavilion with restrooms and kitchen facilities. 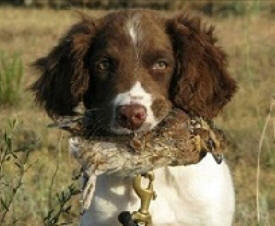 Field bred English Springer Spaniels, are our passion. Our gun dogs are raised with a strong emphasis on temperament, natural hunting ability, bird finding, soft mouths, and drive in the field. With a good looking build, and a willingness to please. We utilize the most up to date health screening we can find, to produce the soundest dog we can. 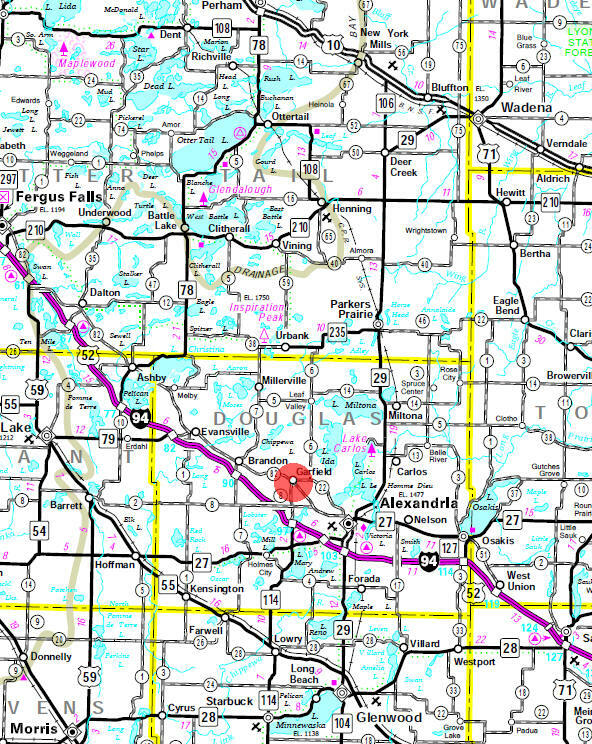 We are located in the Alexandria MN Lakes area. Providing quality gun dogs for 18 years. Offering field bred, English Springer Spaniel puppies, and an occasional started dog, on a limited basis. It’s what the archery industry has been waiting for... A high quality backstop that is lightweight and portable, while gentle on the arrows. No more broken arrows or damaged fletchings. Removal is effortless! Our products are guaranteed for 30 days. If for any reason within 30 days you are not satisfied with any of your BUP Sports products you may return it for a full refund of you purchase price less actual shipping cost. We are a full service quilt shop, with thousands of fabrics, patterns, books, and notions. We specialize in 30's, Thimbleberries, Civil War, Moda, flannel, and batik prints along with many more designer fabrics. We are continually adding samples and kits to our ever growing lines of fabrics to give you the best examples possible of our wide array of fabric and pattern selections. These BULLS ARE GOOD EATING. 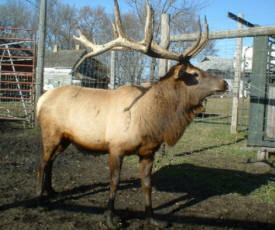 They are not fed anything unnatural for the growth of their antlers. For the best eating meat, we recommend they be harvested in early September before they go into rut or after the first of the year when they're over the rut. Doraisamy Farm has a small herd of JACOB SHEEP - an old hardy breed which may go back to Biblical times. These Jacob lambs are raised on grassy pastures and are supplemented only with NON Genetically Engineered corn and grains grown on the farm, and some purchased mineral supplement. The lambs are also raised ASH Free - NO Antibiotics, Steroids, or Hormones. At Dorman Auto Repair, our main goal is to provide you and your business with exceptional quality welding services in Garfield, MN backed by years of hands-on experience. Our top priorities are job site safety, service, reliability, and unrivalled welding excellence. Our work ethic is second to none, and we always strive to go above and beyond for our clients. 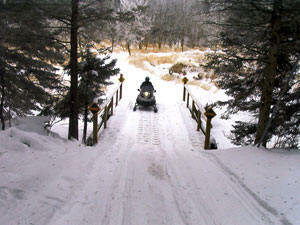 Located midway between the Twin Cities and Fargo-Moorhead, the Douglas Area Trails Association maintains 370 miles of snowmobile trails in west central Minnesota’s Hardwood Hills and River Prairie landscapes. Dotted with numerous lakes, Douglas County’s DATA Trails offer a real combination of open flatlands to heavily wooded and often hilly riding. Dynamic Landscapes & Hydroseeding offers complete landscaping and hydroseeding services in the Garfield, MN area. Our highly trained specialists provide quality residential and commercial workmanship at reasonable rates. Maker and supplier of accurate guns, barrels, riflescopes, reloading, and accessories. 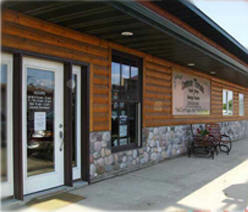 Fire Station Bar & Grill of Garfield, MN is the place to be for great food and an even greater experience. Indulge in our dishes and specials and treat yourself to our fully stocked bar while listening to a local or regional band’s good music. We guarantee quality food made from the freshest and finest ingredients and courteous, dependable services because these are what our name stands for. With us, your satisfaction is guaranteed. 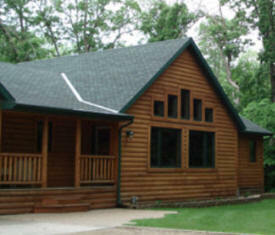 Friends Forever Retreat is your "Home Away From Home". It was designed to bring family and friends together in a relaxing atmosphere to getaway from today's busy lifestyles. Spend quality time preserving memories: scrapbook, stamp, quilt, bead or any other craft that you may enjoy. We have all the comforts of home with some added extras to help you relax and take time for yourself. We think this an indulgence well deserved. 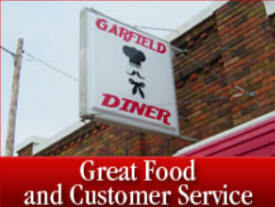 Garfield Diner of Garfield, MN offers and takes pride in delicious food and excellent customer service for a great dining experience. We serve the Garfield and Alexandria area. Our mission is to put a smile on your face. We make our food fresh and made from scratch just like it is at home. Owned by Dan Soden, a.k.a. “Chef Dano,” who has over 40 years of experience, we assure to give you great food and the best customer service. GCI is a custom designer and manufacturer of industrial manipulators, assembly fixtures, torque reaction systems, and material handling equipment including automated, powered and manual movement for use in a wide variety of manufacturing or assembly needs. From sophisticated automation applications to simple hoist suspended tooling, GCI can design and build the machines you need to help with the ergonomic lifting and torque reaction issues faced in today’s manufacturing arena. 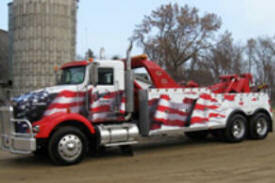 For all your towing and repair needs, contact Glenn's Towing and Repair of Garfield, MN. Owned and operated by Glenn Peterson, we deal with towing, full auto repair services, and more. With our experienced professionals, you will definitely get the prompt auto service you deserve. HEALTHY ALTERNATIVES INC™ is dedicated to the idea that everyone is entitled to the healthiest and most energetic lifestyle they are capable of attaining. With the combination of good nutrition, moderate exercise, and enzyme supplementation, you can enjoy the tremendous benefits of life: improved digestion, increased energy, weight loss, stronger immune system, improved elimination, healthier skin, better sleep, lower cholesterol, less inflammation. 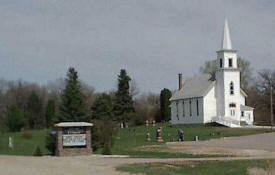 Ida Township lies in Douglas County, Minnesota. It was organized in 1870. 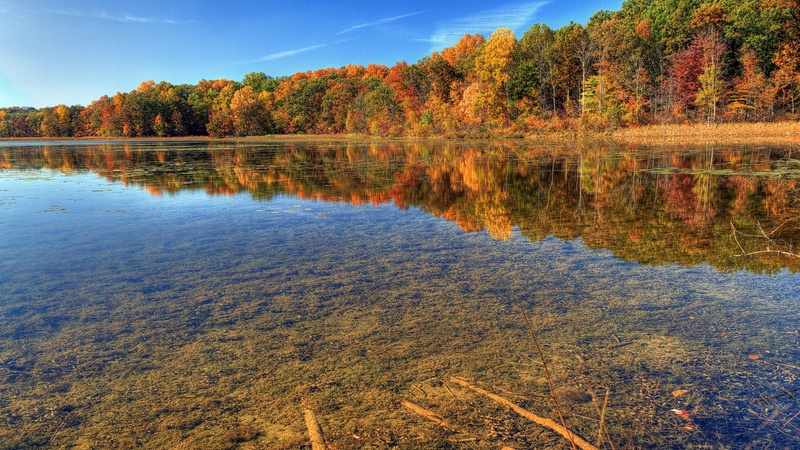 The township includes approximately 23,040 acres. The 2010 federal census population of the township was 1,228, the April 2010 Minnesota State Demographer population is 1,228 with 512 estimated households. 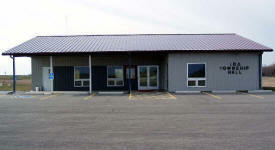 Leader's core business is providing Post Frame building packages and many accessories for buildings. Years of planning and experience in the construction and Post Frame industries assure you'll get the expertise you need for your project. Are you looking for something to accent your landscape or gardens? Do you need to pave your road, but would like an alternative to regular pavement? How about rock? Morical Brothers Inc. produces a wide variety of aggregate materials for both residential and commercial purposes. 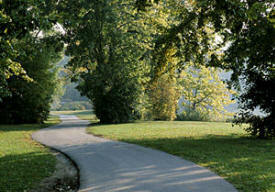 Your landscapes can be beautifully accented with natural stones, and your new road can be paved with rock. Oberg Construction of Alexandria Minnesota is a licensed and insured construction company that serves Central Minnesota communities. Every home, including yours, is important to us because we realize it is important to you. Your home is possibly the best and largest investment of your life and we want to help you ensure that it is as enjoyable and as efficient as possible. Sid's Electric, Inc. offers residential and commercial electric services in the Garfield MN area. Our licensed, bonded, and insured company will take care of all your electrical needs at very reasonable cost. We are proudly serving Alexandria and surrounding areas. 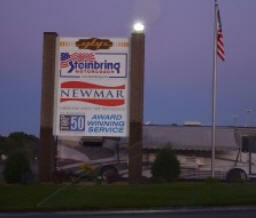 Steinbring Motorcoach offers new and used Newmar motorhomes for sale along with pre-owned coaches from popular brands such as Winnebago, Itasca, Tiffin, Fleetwood and Monaco along with consignments. Whether you are looking for a Class A, Class B, Class C, a diesel pusher, gas or a toy hauler, your sure to find your next RV at Steinbring’s. Ultimate Landscapes & Design is your most reliable landscaping service in the area. With experience in commercial, residential and lakeshore landscaping we can help you create your dream landscape! We specialize in a broad range of landscaping techniques. It is important to me that your project is unique and personalized to fit your needs! Our motorcoach tours travel all across the United States & Canada and range from 2 days to over 3 weeks in length. 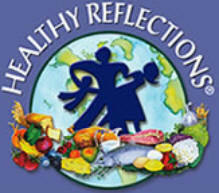 Contact us for a brochure, or follow links to see the day-to-day information on-line. Most tours have pick-up and drop-off locations available on I-94 from Fargo to Minneapolis, and along route of tour.